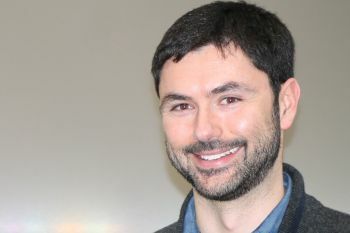 Dr Andrea Baronchelli co-authors the research paper, titled, ‘Experimental evidence for tipping points in social convention’, published in Science. In the new study, ‘Experimental evidence for tipping points in social convention’ published in Science, Lecturer in Mathematics at City, University of London, Dr Andrea Baronchelli, and his collaborators - Damon Centola, Joshua Becker and Devon Breckbill from the University of Pensylvania, report the first empirical validation of the theory of Critical Mass. From gender equality to the popular acceptance of (or intolerance toward) tobacco use and marijuana, the theory of Critical Mass has been used to account for countless cases of changes in social conventions. In its essence, this theory states that minority groups can trigger a shift in the conventions held by the majority of the population. While extremely popular, the theory was never been tested in the laboratory due to the difficulty of independently varying the size of minority groups within an evolving system of social coordination. In 2015, Baronchelli and Centola demonstrated how a group of individuals can reach an agreement on a social convention - the name of a person for instance - even in the absence of any centralised institution (PNAS 2015). In the new study, the team started from that result and let a group evolve their own social convention. Once the agreement was reached, they introduced few confederates pushing for a different solution. “When the confederates were too few nothing happened and the group basically ignored their presence. However, as they crossed a tipping point, roughly 25% of the size of the group, the whole population followed them. This is what our model predicted and multiple replications of the experiment confirmed the result”. The implications of the study are important. “Multiple parties, from Government to private organisations, are nowadays using confederate actors within online spaces to influence conventional behaviors and beliefs. Our study suggests that ther strategy may be effective” adds Dr Baronchelli. Our results represent a reason for hope, although naturally, further studies are required outside of the lab. Problems such as bullying and aggressive online behaviour, to global issues like contrasting climate change require a shift in behaviour. Organising a critical mass of committed individuals may represent an important step towards desirable solutions.